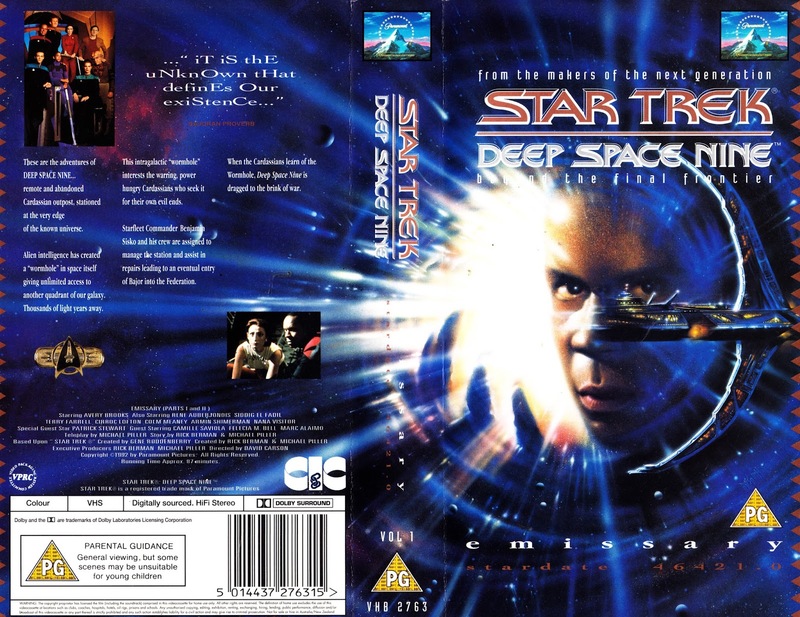 The first pressing of this volume from CIC included a booklet, including production sketches and comments, the cover of which doubled as the insert sheet of the video box itself; I think a later pressing did away with the booklet and just had a standard cover. Regarding the two episodes per tape deal, I was mildly annoyed to discover years later that Blockbuster Video had a couple of exclusive rental-only four episode tapes of the series. Quite amusing now when for the same shelf space you can easily have a seasons' worth of episodes even on DVD. Would that have been with the season 4 opener WAY OF THE WARRIOR ? Oh possibly. I probably still have it 'filed away' somewhere.